The distribution to the local market takes place in Alphagreen’s branch in Choueifat. 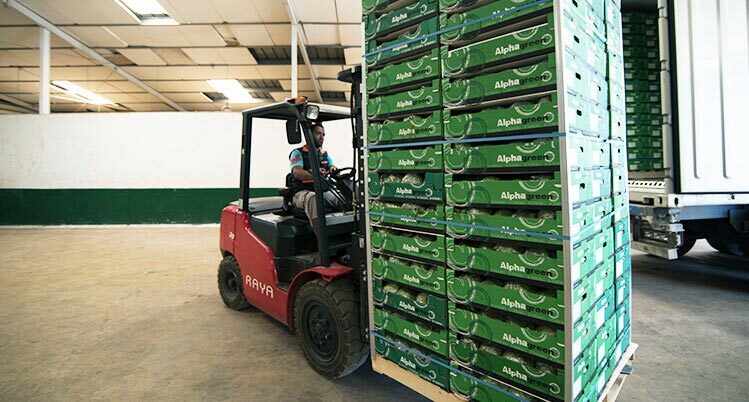 Fresh products are sent from the farms directly to Choueifat and distributed to the local market in clean refrigerated trucks, where the temperature varies between a minimum of 1 and a maximum of 4˚C. The delivery route covers all Lebanese areas using 3 big refrigerated trucks, 5 equipped vans, and 2 pick-ups. As for the export process, it is performed either by air or by sea through refrigerated containers, or by land through refrigerated trucks.